Little Raccoon has a question. It is a question for his mother. "When do you love me most of all?" he asks. Of course, one question leads to another. "Is it when I wake up?" "Is it when I play in the trees?" 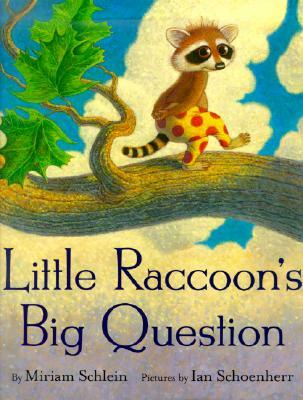 Little Raccoon has lots of questions. How many answers does his mother have? Miriam Schlein is the acclaimed author of numerous books for children, including the classic stories of motherly love The Way Mothers Are and Just like Me.